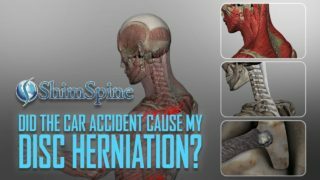 Does Everyone Get Spinal Stenosis? If you live long enough, you will get spinal stenosis. Everyone must face the fact that they will age. It is better than the alternative. Aging is the process by which the cells in your body die, but the replacement cells do not have the same initially properties of the older cells. Some scientists think up to 1 million cells in your body die every second. In many ways, it is a good thing, as it rids the body of old, ineffective, or potentially cancerous cells. As we age, however, the newer replacement cells may not have the same properties as prior cells. In your vertebral disks, scientist think the your cells produce a certain type of proteoglycan that attracts water when young. As you age, the type and amount of proteoglycan changes, causing less attraction of water. Without this water in the disk, the disk flattens, and the walls of the disk, or annulus, start to bulge. As the disk flattens, it causes the joints in the back of the spine, the facet joints, to slide further past the normal range of motion. By this process, it also causes excess pressure on the cartilage cells lining the joints, and eventually cause wear and tear of the smooth cartilage lining. Because of the wear and tear of the smooth cartilage lining, the small pain nerves located underneath the cartilage layer become irritated. The body reacts to this process by trying to take pressure away from the area of cartilage wear. That is the process of enlarging the surface area of the joints, or what spine specialists call joint or facet hypertrophy. Most of us have seen that joint enlargement process already, when we look at the finger joints of many of our older relatives and friends. Often times, there may be some crookedness or enlargement of the joints. Those joints are an excellent example of the joint hypertrophy that we are discussing. We also call this joint hypertrophy, arthritis. To understand spinal stenosis, now imagine a nerve traveling next to the joint, as the joint begins to widen. It will basically crowd out the nerve to accommodate the widening. 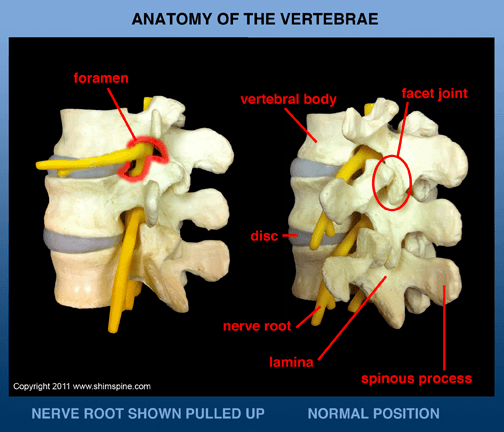 In the spine, the nerves are located in the middle of the spinal canal, and exit the spinal canal through a bony channel called the foramen. 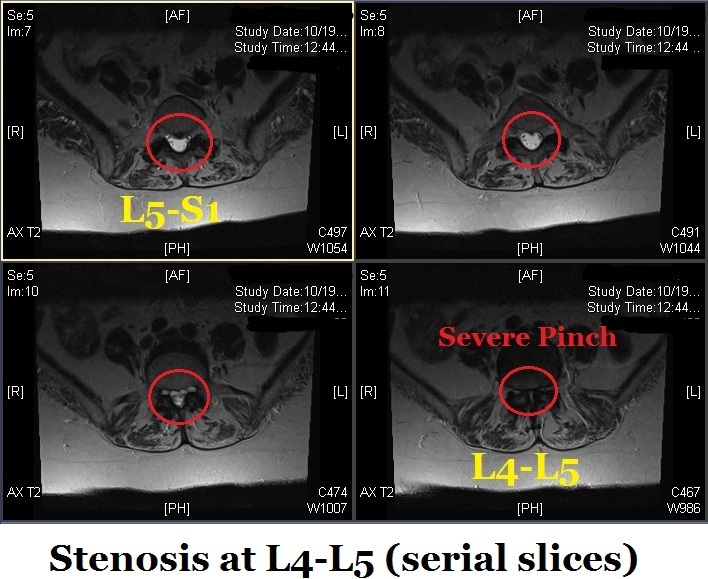 In spinal stenosis, foramen narrows secondary to the thinning of the disk, and the crowding of the nerve by the widening of the facet joints. This is the process by which we get spinal stenosis. 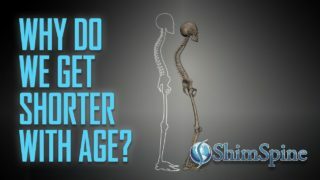 If you live long enough, the aging process will cause all of us to develop SPINAL STENOSIS.